Too often I ruin perfectly happy drawings with tragic color choices. So frustrating! Lacking knowledge, missing understanding, and losing patience doesn't help. I have more than a few books on the subject of color but still the light hasn't come on. I'll keep practicing. 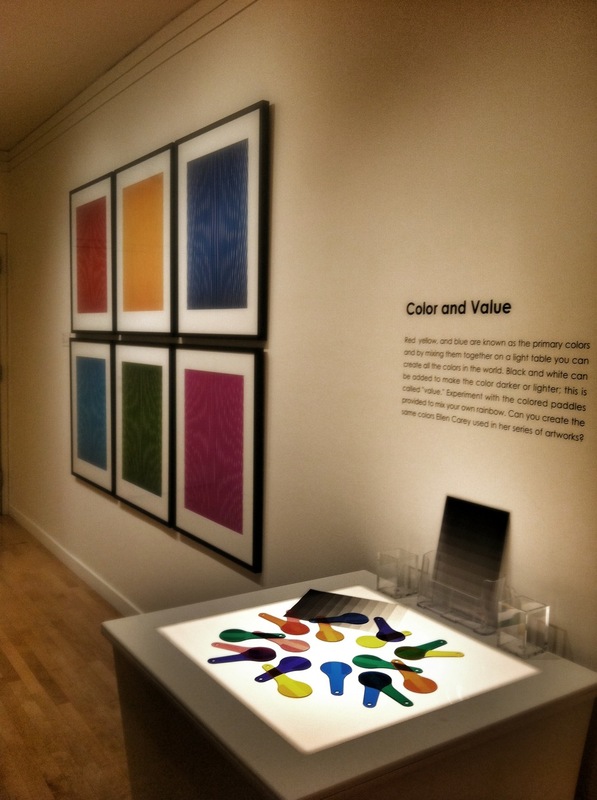 I'll keep drawing, adding color fearlessly and playing with color games like this one at the San Jose Museum of Art. The museum was otherwise mostly uninspiring although I was impressed with the exhibition of R Crumb's Illumination of the Book of Genesis. An impressively massive amount of work to turn Genesis into a graphic novel. Seeing it all drawn out like that, all the drama in pictures, felt like seeing storyboards for a couple of natural disaster movies and decades worth of day time television. That's a lot of family squabbles, betrayals, godly wrath, wife swapping, plagues, sibling rivalry and murder. Cue the flood.